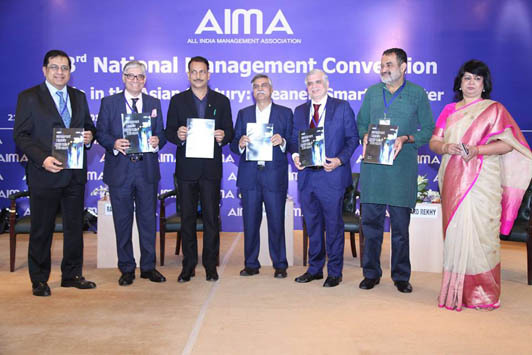 The National Management Convention is the annual flagship event of the AIMA and it aims to address the challenges faced by corporates in India, their implications on the business scenario and deliberates on key strategies for successful business performance. The Convention addresses a topical theme of national importance and is addressed by renowned speakers. The Convention traditionally attracts almost 800 delegates from Industry, government, media and academia. 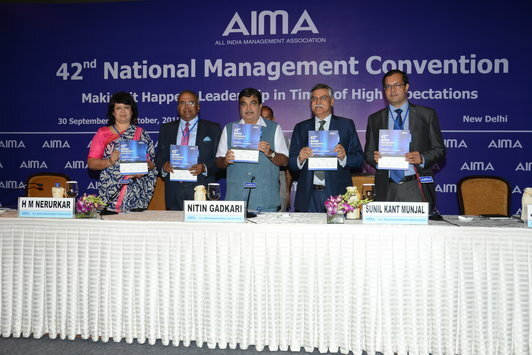 The 42nd National Management Convention of AIMA was held in New Delhi from 30th September – 1st October 2015 at Hotel Taj Palace, New Delhi. The theme of the 42nd NMC was “Making it Happen: Leadership in Times of High Expectations”, and speakers from different spheres of life shared their views with participants through interactive sessions. 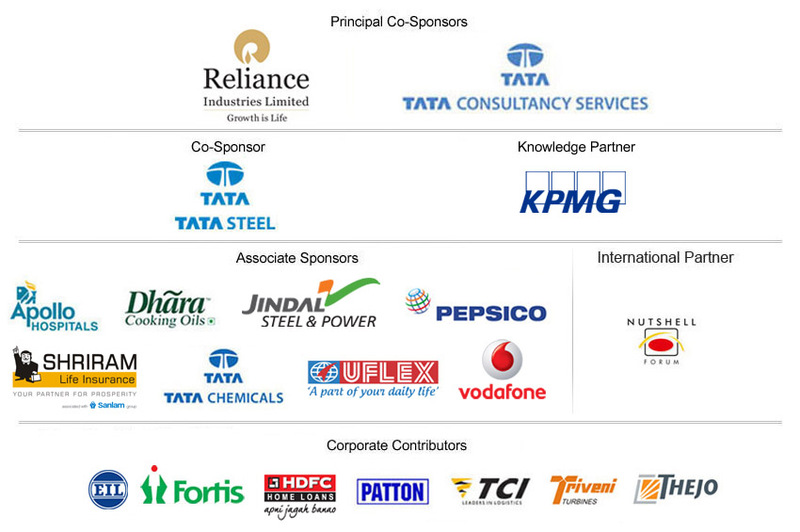 KPMG in India was the Knowledge Partner for the Convention. Eminent speakers who addressed the 2015 Convention were Nitin Gadkari, Minister of Shipping, Road Transport and Highways, Government of India; Col. Rajyavardhan Rathore (Retd. ), AVSM, Minister of State for Information & Broadcasting, Government of India; Arvind Kejriwal, Chief Minister of Delhi; H M Nerurkar, then President, AIMA and Chairman, TRL Krosaki Refractories Ltd; Firdose Vandrevala, then Senior Vice President, AIMA and Executive Vice Chairman, Essar Steel India Ltd; Sunil Kant Munjal, then Vice President, AIMA and Jt. Managing Director, Hero MotoCorp Ltd. & Chairman, Hero Corporate Service Ltd; Preetha Reddy, Executive Vice Chairperson, Apollo Hospitals Group; Rajiv Bajaj, Managing Director, Bajaj Auto Ltd.; Vineet Nayar, Founder, Sampark Foundation & Former CEO, HCL Technologies; D Shivakumar, Chairman & CEO-India Region, PepsiCo India Holdings Pvt Ltd; T V Narendran, Managing Director, Tata Steel India & South East Asia; Amin Hashwani, Director, Hashwani Group, Pakistan; T V Mohandas Pai, Chairman, Manipal Global Education Services; Swami Sukhabodhananda Ji, Founder Chairman, Prasanna Trust; Shivinder Mohan Singh, Executive Vice Chairman, Fortis Healthcare Ltd; Atul Chaturvedi, Joint Secretary, Department of Industrial Policy and Promotion (DIPP), Government of India; Venky Mysore, CEO & Managing Director, Kolkata Knight Riders & Red Chillies Entertainment; Tanmoy Chakrabarty, Vice President & Global Head-Government Industry Solutions Unit, TCS; Jaijit Bhattacharya, Partner, Infrastructure and Government Services, KPMG in India; Kris Srikkanth, Former Captain of the Indian Cricket team and Former Chairman of the Selection Committee; Arun Lal, Former Indian Cricketer and Cricket Commentator; Saugata Mitra, Chief People Officer & Member of Apex Management Team, Mother Dairy; Pranjal Sharma, Host – The Appointment, Zee Network. AIMA- Kewal Nohria Award for Academic Leadership in Management Education 2015 to Mr Pradip Khandwalla, Former Director, IIM Ahmedabad. Ms Preetha Reddy, Immediate Past President, AIMA and Executive Vice Chairperson, Apollo Hospitals Group was awarded Honorary Life Fellowship of AIMA . 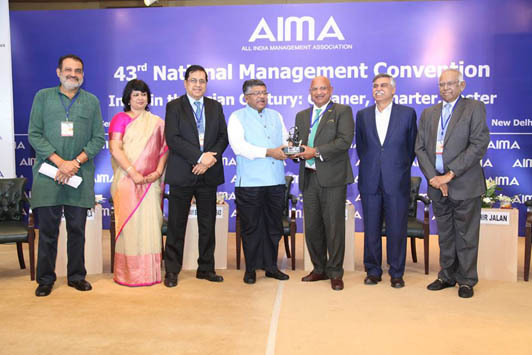 AIMA presented Awards to Local Management Associations, the winners of NCYM 2015 and NMG 2015.